Reed College is a private liberal arts college located in southeast Portland in the U.S. state of Oregon. Founded in 1908, Reed is a residential college with a campus located in Portland's Eastmoreland neighborhood, featuring architecture based on the Tudor-Gothic style, and a forested canyon nature preserve at its center. Reed is known for its mandatory freshman humanities program, required senior-year thesis, status as the only private undergraduate college with a primarily student-run nuclear reactor supporting its science programs, and the unusually high proportion of graduates who go on to earn doctorates and other postgraduate degrees. The Reed Institute (the legal name of the college) was founded in 1908, and Reed College held its first classes in 1911. Reed is named for Oregon pioneers Simeon Gannett Reed (1830-1895) and Amanda Reed (died 1904). Simeon was an entrepreneur in trade on the Columbia River. Unitarian minister Thomas Lamb Eliot, who knew the Reeds from the church choir, is credited with convincing Reed of the need for "a lasting legacy, a 'Reed Institute of Lectures,' and joked that it would 'need a mine to run it.' " Reed's will suggested that his wife could "devote some portion of my estate to benevolent objects, or to the cultivation, illustration, or development of the fine arts in the city of Portland, or to some other suitable purpose, which shall be of permanent value and contribute to the beauty of the city and to the intelligence, prosperity, and happiness of the inhabitants". The first president of Reed (1910-1919) was William Trufant Foster, a former professor at Bates College and Bowdoin College in Maine. Contrary to popular belief, the college did not grow out of student revolts and experimentation, but out of a desire to provide a "more flexible, individualized approach to a rigorous liberal arts education". Founded explicitly in reaction to the "prevailing model of East Coast, Ivy League education", the college's lack of varsity athletics, fraternities, and exclusive social clubs - as well as its coeducational, nonsectarian, and egalitarian status - gave way to an intensely academic and intellectual college whose purpose was to devote itself to "the life of the mind", that life being understood primarily as the academic life. According to sociologist Burton Clark, Reed is one of the most unusual institutions of higher learning in the United States, featuring a traditional liberal arts and natural sciences curriculum. It requires freshmen to take Humanities 110, an intensive introduction to the Classics, covering ancient Greece and Rome as well as the Bible and ancient Jewish history. 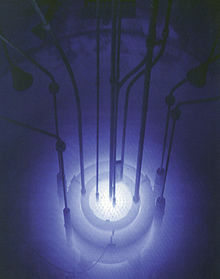 Its program in the sciences is likewise unusual with its TRIGA research reactor making it the only school in the United States to have a nuclear reactor operated entirely by undergraduates. Reed also requires all students to complete a thesis (a two-semester-long research project conducted under the guidance of professors) during the senior year as a prerequisite of graduation with successful completion of a junior qualifying exam at the end of the junior year a prerequisite to beginning the thesis. Upon completion of the senior thesis, students must also pass an oral exam that may encompass questions not only about the thesis but also about any course previously taken. Reed maintains a 10:1 student-to-faculty ratio, and its small classes emphasize a "conference" style in which the teacher often acts as a mediator for discussion rather than a lecturer. While large lecture-style classes exist, Reed emphasizes its smaller lab and conference sections. What are the academic rankings for Reed College? 1. number 106 for Academics. 2. number 144 for ROI (Return on Investment). What universities are similar to Reed College?